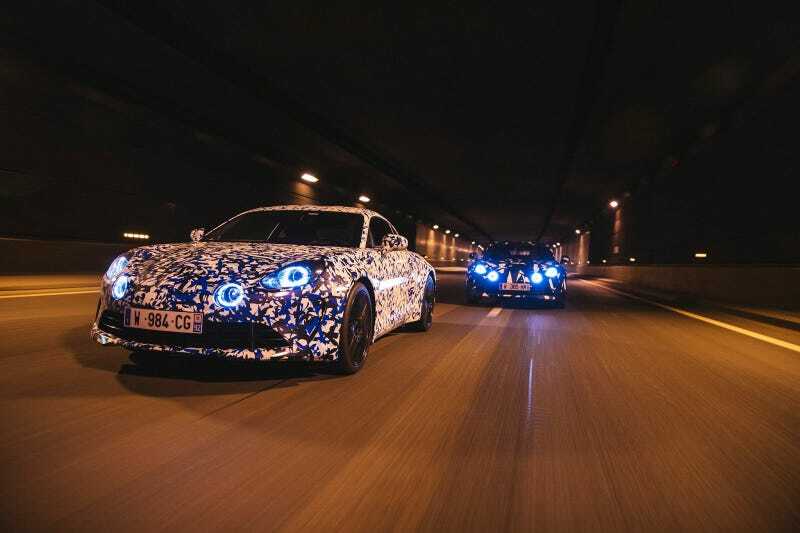 Alpine A120 prototypes stalk the streets of Paris at night. Alpine A120 prototypes stalk the streets of Paris at night. The next Alpine sports car will make is debut at the Geneva Motor Show in March, and might even eventually make its way to the US. Get excited.